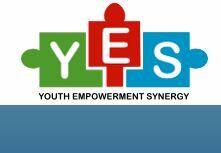 Established in 2001, the Youth Empowerment Synergy (YES-Ghana) is an ECOSOC-accredited NGO which is at the forefront of youth development policy, practice and research in Ghana. At YES-Ghana, we work to realise a vision: a world where every young person has a real chance to benefit from and participate in the development processes at local, national and international levels. Our mission is to promote policies and develop initiatives that help youth succeed in becoming life-long learners, productive members of society, materially sufficient and self-respecting citizens. Visit www.yesghana.org for more information. YES-Ghana is an implementing partner for a new youth initiative, which aims to achieve increased employment and entrepreneurship amongst disadvantaged youth in Ghana. YES-Ghana is leading on the awareness creation, sensitization & mobilisation, and also enrolment of eligible youth onto the program. YES-Ghana is also delivering an integrated Entrepreneurial, Financial Literacy and Life Skills training curriculum for youth participants enrolled on the programme. Under the guidance and supervision of the Kumasi Field Supervisor with overall reporting to the Chief Driver in the Accra office, the Driver will facilitate transport services as required for the smooth implementation of project activities in Kumasi and its environs. • Ensures provision of reliable and secure driving services by driving office vehicle for the transport of authorised personnel and delivery and collection of mail, documents and other related goods and supplies in/out of Kumasi under the authorisation of the supervisor. • Ensures cost-savings through proper use of vehicle through accurate maintenance of daily vehicle logs, provision of inputs to preparation of the vehicle maintenance plans and reports. • Ensures proper day-to-day maintenance of the assigned vehicle through timely minor repairs, arrangements for major repairs, timely changes of oil, checking of tyres, brakes, car washing, etc. • Ensures availability of all the required documents/supplies including vehicle insurance, vehicle logs, first aid kit, and necessary spare parts. • Ensures that all immediate actions required by rules and regulations are taken in case of involvement in accidents. • 5 years’ work experience as a driver; safe driving record; knowledge of driving rules and regulations and skills in minor vehicle repair. • Candidates must have no criminal record particularly in relation to the abuse of children and youth. Background checks will be conducted. • Candidates should be between the ages of 22 – 30 years. Please use DRIVER - KUMASI as the subject line of the email. Be sure to highlight in the motivation letter how specifically you meet the criteria for this role. Due to capacity constraints, only shortlisted applicants will be contacted.